During the charmingly-controversial era in the 1920s in the United States—best known today as roaring twenties—skirts got shorter, parties grew livelier, and men and women all across the nation were free to spend their time dancing the night away as vivacious melodies of toe-tapping jazz tunes echoed through the walls of speakeasies: hidden bars established during the Prohibition era so that alcoholic beverages could be secretly sold and enjoyed by the people of our nation without repercussions. Fortunately, enjoying a delicious artisanal cocktail is no longer something that must be kept secret; however, speakeasy bars have recently made a resurgence in America as the hottest new spots for connoisseurs of culture to order a drink, catch up with friends and colleagues, and take in the enticing atmosphere of our nation’s best “hidden gem” bars. 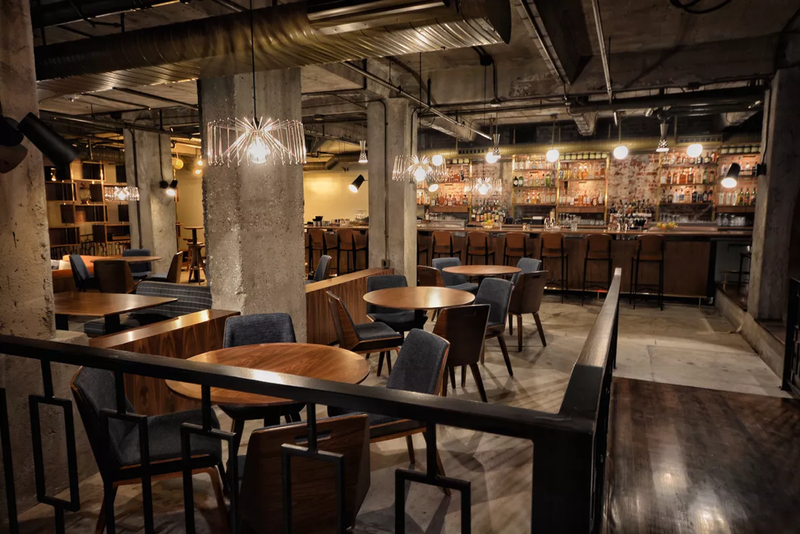 Read on to learn the ins-and-outs of 3 of the trendiest speakeasy spots in our country, then contact GMS for step-by-step assistance in planning your own stellar speakeasy event! Leave the tough stuff to us; all you need to do is pull up a bar stool, grab a drink, and relax as you travel back in time to a period of glamour, excitement, and entrancing mystery. This secluded speakeasy lounge located in Los Angeles, California, relies on chic lounge décor and classic cocktails with a modern twist to draw in faithful patrons. Locating this hot spot may not be easy for the average bargoer, but speakeasy aficionados know that Birds & Bees can be found underneath LA’s Broadway Media Center; the building even comes complete with a hidden entryway door! The drink menu boasts an impressive list of mouthwatering cocktails, beer, and wine that are certain to leave your taste buds tantalized, some of which are named after the Jazz Age’s greatest icons; one of their most popular drinks, the Ella Fitzgerald, is a dirty martini with a delicious twist—a splash of pickle juice just as unique as Ella herself! The Patterson House was developed by Benjamin Goldberg, a dedicated entrepreneur hailing from Nashville, Tennessee, who dreamed of creating a speakeasy bar with an air of southern charm and hospitality. Their drink menu features some of the most innovative cocktails around; the house special, a Bacon Old Fashioned, is made with rich, sweet maple syrup, coffee pecan bitters, bacon-infused bourbon, and a hint of orange peel for extra zest. The Patterson House is also known for their creative take on interior décor; perhaps the most highly coveted seating area in the speakeasy is the 20-meter saloon-style bar. 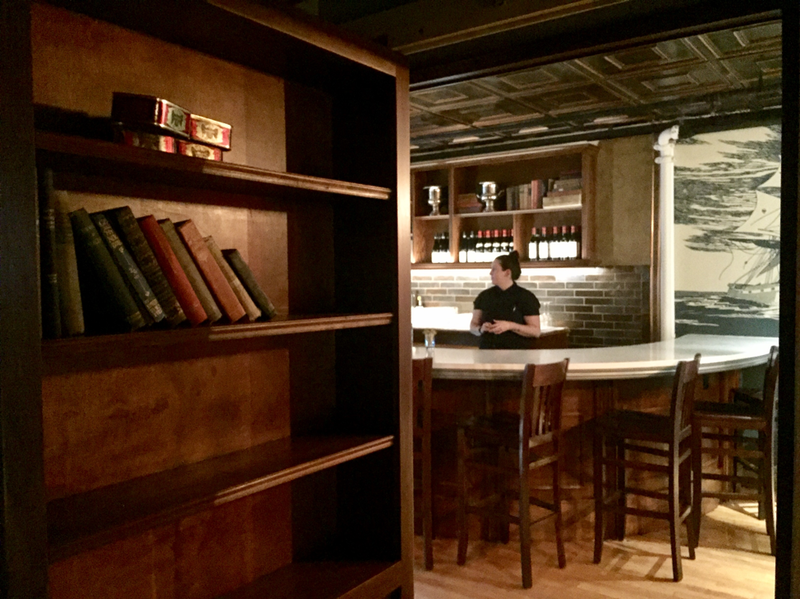 This eclectic speakeasy-style bar located in Portland, Maine, is the epitome of mystery and charm; patrons enter the bar through a secret entrance located behind a fake bookcase found deep within another bar, Portland’s famous Blyth & Burrows, and leave the bar through a hidden back alley exit. The Broken Dram’s guests can enjoy signature cocktails and delicious drinks named after famous duos like Elvis and Priscilla or Kurt and Courtney while taking in the speakeasy’s dark, sophisticated, and incredibly elegant atmosphere. Reach out to GMS today to start planning a speakeasy-inspired incentive trip your whole group will adore. Contact us for your personal proposal.